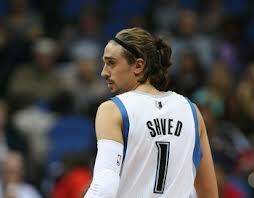 The Wolves will receive 2014 No. 1 pick Andrew Wiggins, 2013 No. 1 pick Anthony Bennett and 76ers veteran forward Thaddeus Young for departing with Kevin Love. The 30-day waiting period on the Kevin Love trade ends Saturday, when the Wolves are expected to finalize and announce the franchise’s biggest player transaction since it sent away superstar Kevin Garnett seven years ago. The trade specifics, however, were confirmed as final on Thursday night by the Star Tribune. 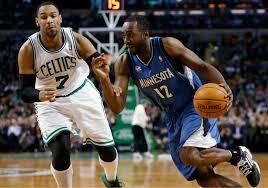 • It will be a three-team deal involving the Wolves, Cavaliers and Philadelphia. • The Wolves will receive Wiggins, 2013 No. 1 pick Anthony Bennett, 76ers veteran forward Thaddeus Young and a trade exception believed to be worth at least $4 million that they can use to acquire a player in the next year without being strapped by salary-cap rules. • The Cavaliers will get Love to team with superstar LeBron James and guard Kyrie Irving. • Philadelphia will receive Miami’s 2015 first-round pick that the Cavaliers own as well as the expiring contracts of Wolves players Luc Mbah a Moute and Alexey Shved. Like 76ers lottery pick Joel Embiid, Mbah a Moute is from Cameroon and has been a mentor in recent years to the gifted but injured center chosen third in the June draft. The Sixers expect Mbah a Moute’s presence will ease Embiid’s NBA transition. In Young, the Wolves add a veteran presence who can start at Love’s power-forward spot. Young has started at least 76 games the past two seasons and averaged 17.9 points and six rebounds a game last season, his best statistically in his seven-year career in Philadelphia. The three teams are expected to announce the trade on Saturday after completing a trade call with the league office. Wiggins, Bennett and Young are expected to be introduced as the newest Wolves at a Tuesday news conference on the Minnesota State Fairgrounds. James Posey is an Ohio Native who had been coaching with the Canton Charge up until now when he joins David Blatt and the Cavs staff. Posey’s NBA playing career spans 7 teams the Denver Nuggets, Houston Rockets, Memphis Grizzlies, Miami Heat, Boston Celtics, New Orleans Hornets and the Indiana Pacers. He had a stellar collegiate career averaging 16.2 ppg and 8.1 rbg for Cincinnati’s own Xavier Musketeers. Posey played Chamberlin High School Basketball in Twinsburg, but his early talent for basketball was discovered during middle school in Shaker Heights. Clearly Posey could have chose to continue his career anywhere in the world, but just like that other Ohio Basketball Star he chose to return to the Buckeye State! CLEVELAND, OH – The Cavaliers have finalized their coaching staff and named Jim Boylan, Bret Brielmaier, Larry Drew, and James Posey as assistant coaches on head coach David Blatt’s staff, Cavs General Manager David Griffin and Blatt announced today. They join Tyronn Lue, who was named associate head coach earlier this summer. Phil Handy will also serve as Director of Player Development and Assistant Coach, along with Vitaly Potapenko, who has been tabbed to continue as the team’s Assistant Director of Player Development. Boylan joins Blatt’s staff after serving as an assistant for the Cavaliers during their 2013-14 campaign. Prior to joining the Cavaliers, he spent five seasons as the lead assistant coach of the Milwaukee Bucks, with the last 50 games of the 2012-13 season as the interim head coach. Boylan began his NBA coaching career with the Cavaliers as an assistant in 1992 under Lenny Wilkens and has since worked as an assistant with Chicago, Vancouver, Phoenix and Atlanta. 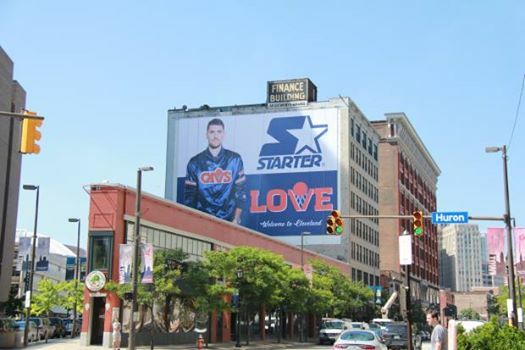 Brielmaier returns for his second season in Cleveland, having joined the team last July for the 2013-14 campaign. Prior to last year, Brielmaier spent four seasons in San Antonio, most recently as the team’s video coordinator. A graduate of the University of Arizona, he played four years for the Wildcats before starting his coaching career as the undergraduate assistant in 2008. In 2009, he joined the staff of the Spurs as a player development assistant and later promoted to video coordinator. Drew joins the staff after one season as head coach of the Milwaukee Bucks. Prior to his stint with the Bucks, he spent three seasons as head coach of the Atlanta Hawks, leading them to postseason appearances in each of those seasons. A first round selection by Detroit in the 1980 NBA Draft, Drew appeared in 714 career NBA games with averages of 11.4 points and 5.2 assists with the Pistons, Kansas City/Sacramento, L.A. Clipper and L.A. Lakers. The Kansas City native began his coaching career in 1992 and has served as an assistant coach with the Lakers, Pistons, Washington Wizards, New JerseyNets and Hawks. Posey joins the coaching staff after a successful first season as an assistant coach for the Cavaliers D-League affiliate, the Canton Charge. Posey, a 12-year NBA veteran, appeared in 864 career games with averages of 8.6 points, 4.7 rebounds, 1.6 assists and 1.1 steals with the Nuggets, Houston, Memphis, Miami, Boston, New Orleans and Indiana. 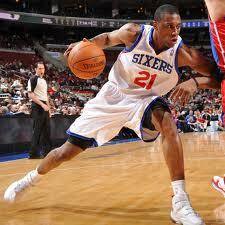 The Twinsburg, OH native also won two NBA Championships as a player with Miami (2005-06) and Boston (2007-08). Handy returns to the staff after holding a similar role with the team last season. 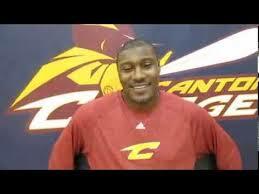 He joined the Cavaliers in 2013 after a two-year stint with the Lakers (2011-13). Prior to that, Handy spent five years as an AAU coach in Northern California. Over a 13-year period, he operated his own professional basketball training business, servicing NBA, European, college and many of the top-ranked high school players in the state. A former University of Hawaii basketball standout, Handy spent time in the NBA with Golden State and Portland, along with eight-years of playing experience overseas in Israel, France, England, Germany, Italy and Australia. Potapenko returns to the staff as the Assistant Director of Player Development. Prior to joining the Cavs in July 2013, he spent the previous year as an assistant coach with the Santa Cruz Warriors of the D- League. That season, his team posted a 32-18 record en-route to their first NBADL Finals appearance. Potapenko was selected 12th overall by the Cleveland Cavaliers in the 1996 NBA Draft and spent his first three seasons with the team. Potapenko went on to have an 11-year NBA career with the Cavaliers, Celtics, Seattle SuperSonics and Kings, with averages of 6.5 points and 4.5 rebounds per game. This entry was posted in Cavs, NBA and tagged 76ers, Alexey Shved, Andrew Wiggins, Anthony Bennett, Bret Brielmaier, Cavs, Cleveland Cavaliers, David Blatt, David Griffin, James Posey, Jim Boylan, Joel Embiid, Kevin Love, Larry Drew, Luc Mbah a Moute, Miami Heat, Minnesota Timberwolves, NBA, Phil Handy, Philadelphia, Starter, Thaddeus Young, Timberwolves, Tyronn Lue, Vitaly Potapenko, Xavier Musketeers on 08/24/2014 by withanohiobias.